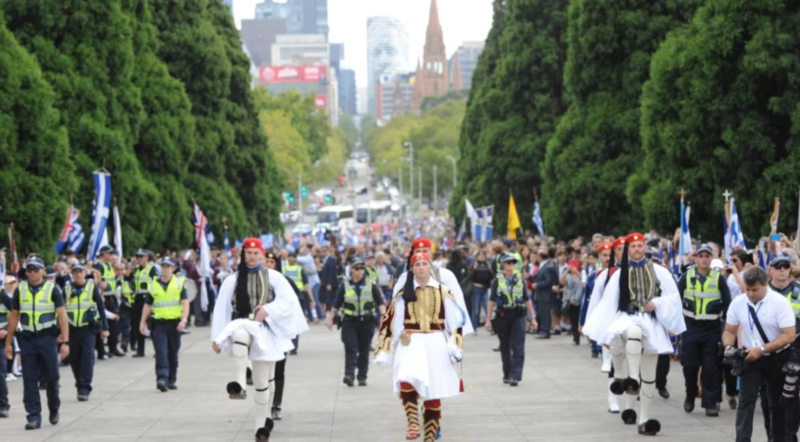 Melbourne turned into a sea of blue and white flags on Sunday celebrating Greek National Day. 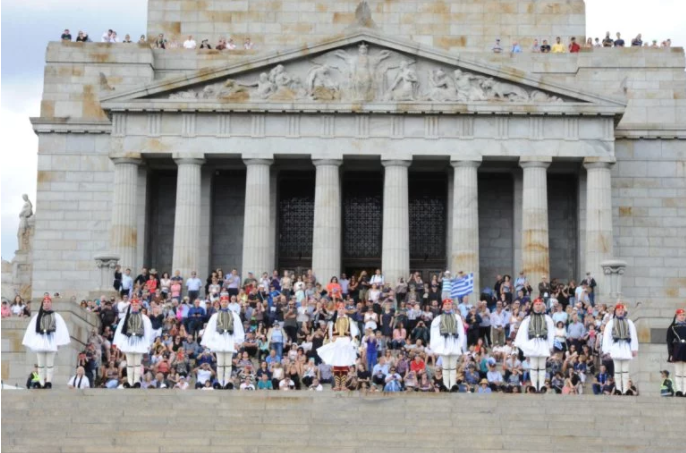 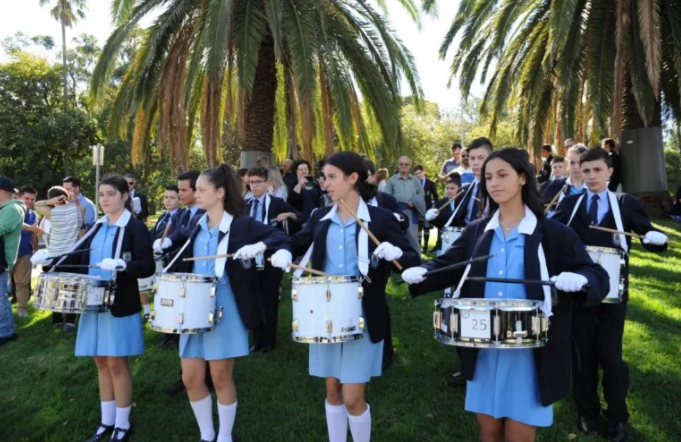 This year the annual event at the Shrine of Remembrance exceeded attendance expectations as thousands of Greek Australians and Greek nationals arrived to watch the Evzones march in all their glory honouring the 25th of March anniversary. Yesterday’s parade was admittedly the largest and most enthusiastic thus far, sending vibes of national pride and excitement to everyone watching hundreds of students of Greek heritage as well as Greek community clubs and officials follow the Evzone lead. “This is undoubtedly the most massive and impressive celebration of of Greek Independence Day I have seen in Melbourne,” Victorian Premier Daniel Andrews said welcoming the Evzones in Greek. 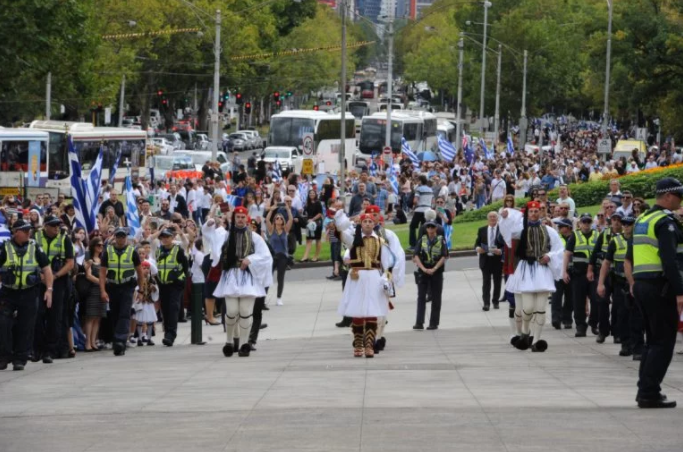 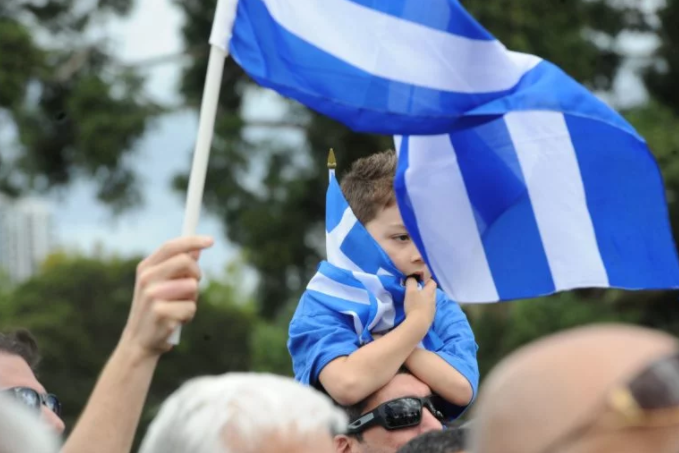 Greek Ambassador to Melbourne Ms Ekaterini Xagorari said that there the march proves “Melbourne is home to the largest Greek population outside Greece,” and passed on the Greek President of Democracy, Prokopis Pavlopoulos’ message to the diaspora. 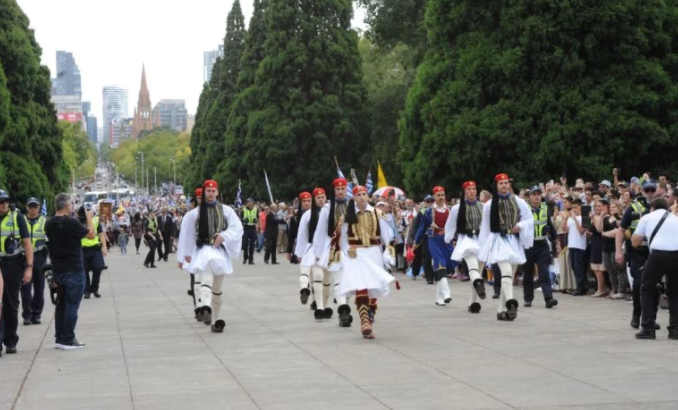 Antonis Tsourdalakis, the general secretary of the Greek National Day celebration organising committee stated that yesterday’s festivities are a testament not only to honouring the Hellenic Independence but a testament to the Greek Australian friendship, a bond forged for 200 years “since the day the first Greeks arrived in Australia, only a few years after the 1821 Revolution. 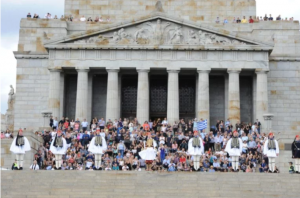 Labor’s Bill Shorten and state opposition leader Matthew Guy were also present while Federal Minister for Citizenship and Multicultural Affairs Allan Tudge said he was pleased to attend the official commemoration of the Greek National Day at Melbourne’s Shrine of Remembrance with Julia Banks MP and Melbourne’s Greek community and took to Twitter to share how impressed he was with the attendance. 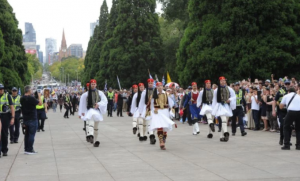 Yesterday’s celebration culminated with a Greek glendi in Oakleigh in honour of the Evzone Guard. 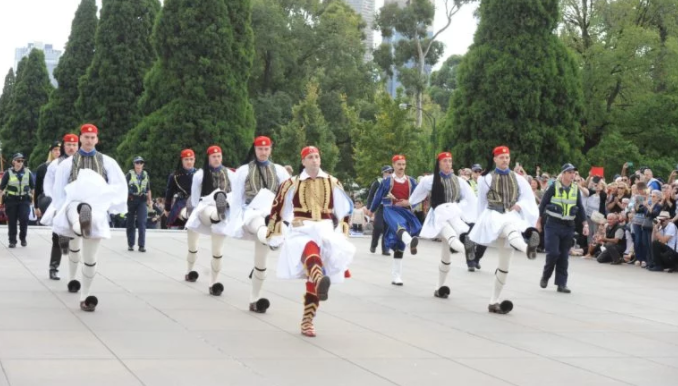 Eaton Mall was flooded with thousands of people. 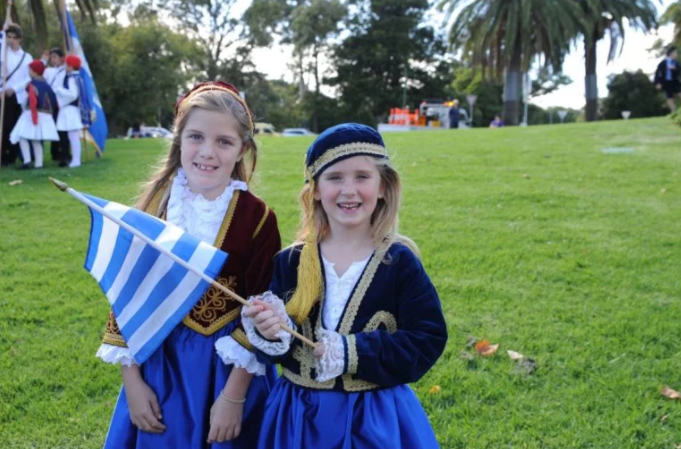 Mayor Paul Klisaris welcomed the crowd on behalf of the premier Daniel Andrews in Greek. 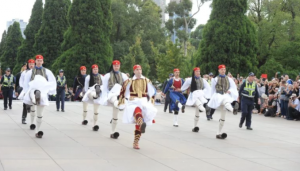 Labor MP Steve Dimopoulos also addressed the crowd, followed by the Vice President of the Victorian Multucultural Commission Spiros Alatsas. Mr Tsourdalakis gave another speech at the Oakleigh event thanking everyone that came and especially the Evzones for making Melbourne’s Hellenic Diaspora feel even more proud to be Greek. 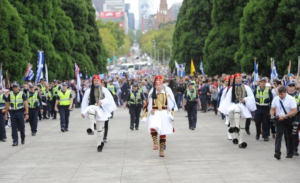 At the end of the night, the Head of the Greek Presidential Guard Gregory Prezerakos received a symbolic gift from Melbourne’s Greek Community, a boomerang, as a token of everyone’s wish to see the Evzones return.